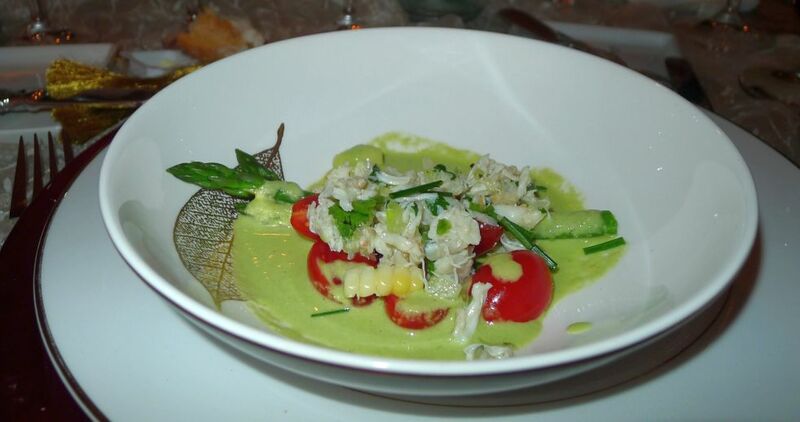 The ingredients for this salad is very straight forward: fresh asparagus, fresh and sweet white corn, sweet and ripe cherry tomatoes topped with crab meat and generously drizzled with an asparagus vinaigrette. This dish is the perfect summer dish where the vegetables are fresh and the corn and tomatoes are at their best. This dish is the perfect mix of elements that can provide the perfect foundation for a simple and delicious dish. 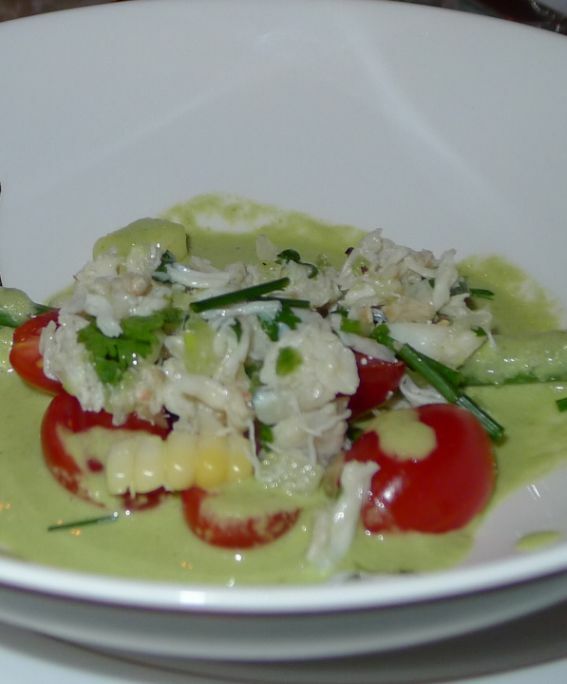 Dungeness crab meat add a bit of sweetness and enhance and brighten up the flavor of the salad. 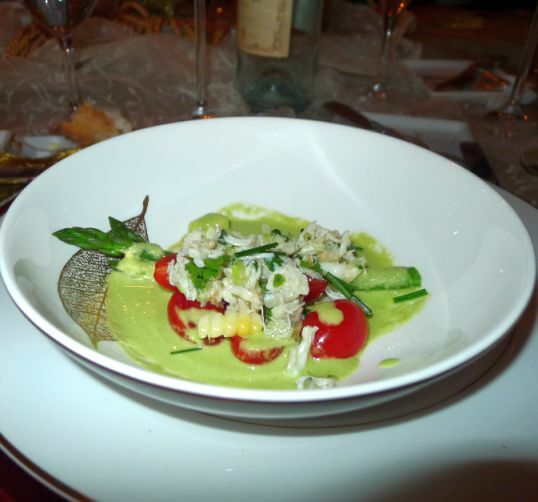 The taste is really incredible and beside this dish looks so good with vibrant green red and yellow with is already a feast for your eyes even before you get a taste of the salad. 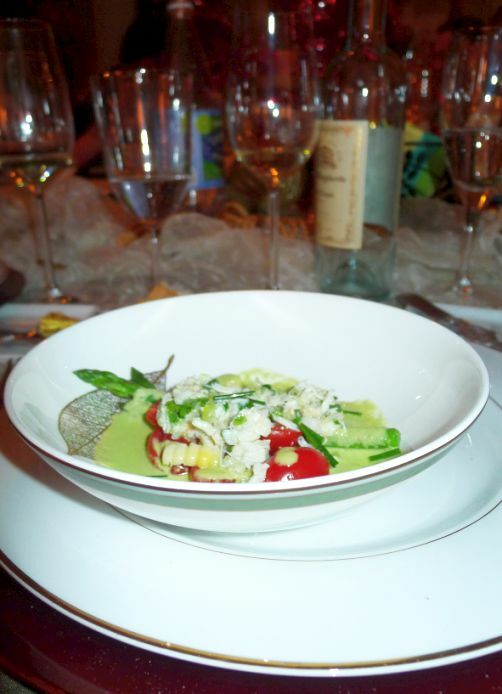 Serve the dish with a cold white wine. Bring a large pot of salted water into boiling point. 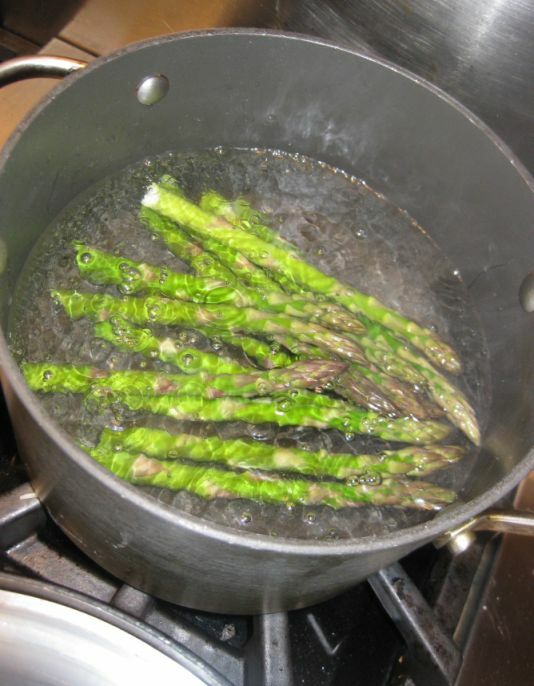 Drop the asparagus in the pot for about 1 to 2 minutes. You want the spears to be barely tender but still crisp and green. 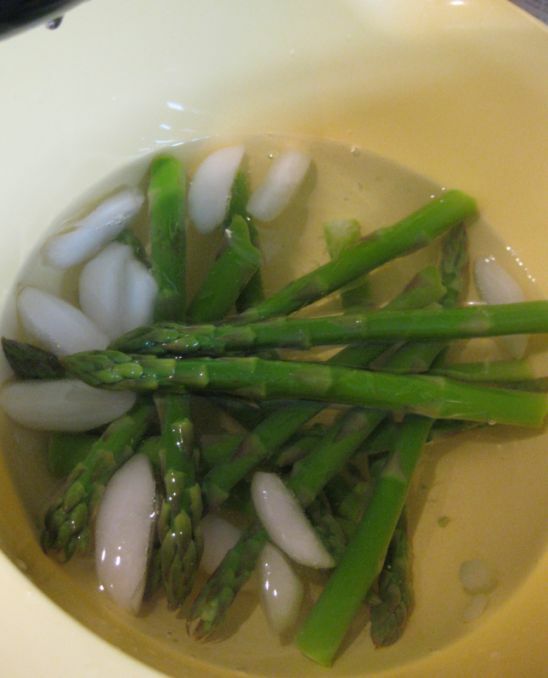 Drain the asparagus and immerse them in a bowl of ice water to stop the cooking. 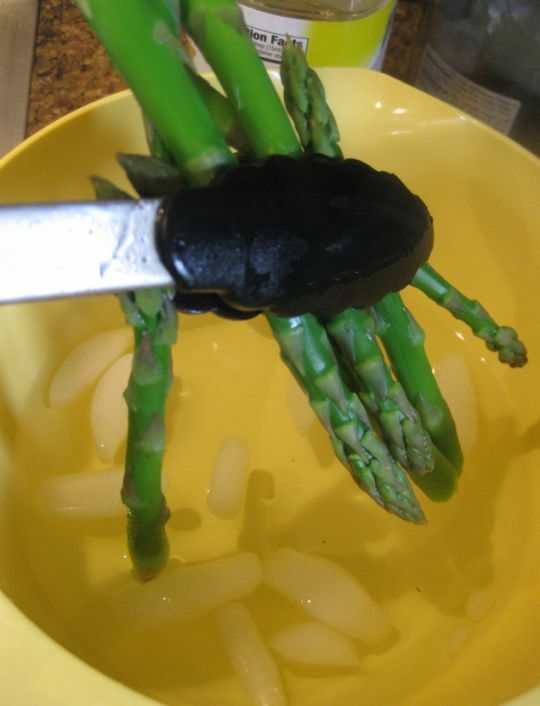 Leave the asparagus in the ice bowl for a few minutes and drain them. 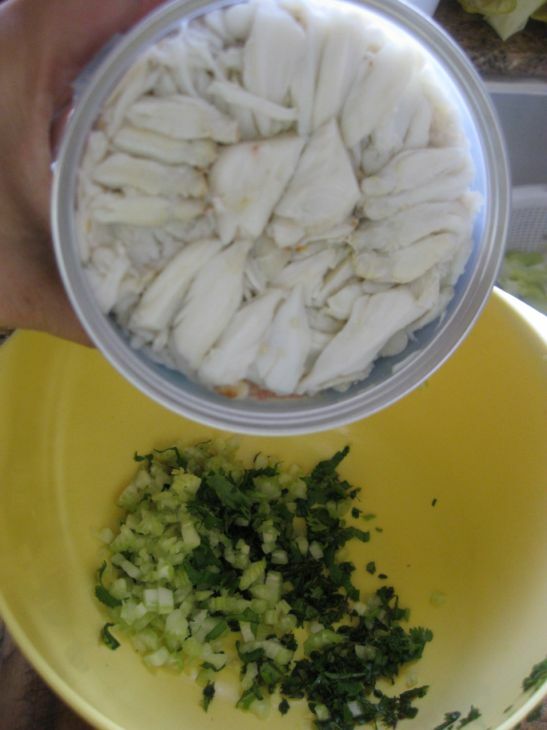 Cut the tip off and save them for the vinaigrette. Keep the top portion for the salad. 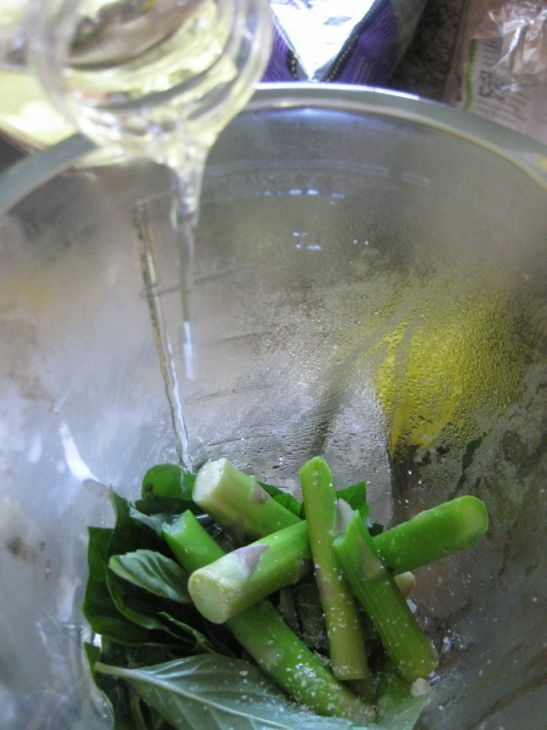 In a blender put the bottom of the asparagus, the basil leaves, salt, and pepper. 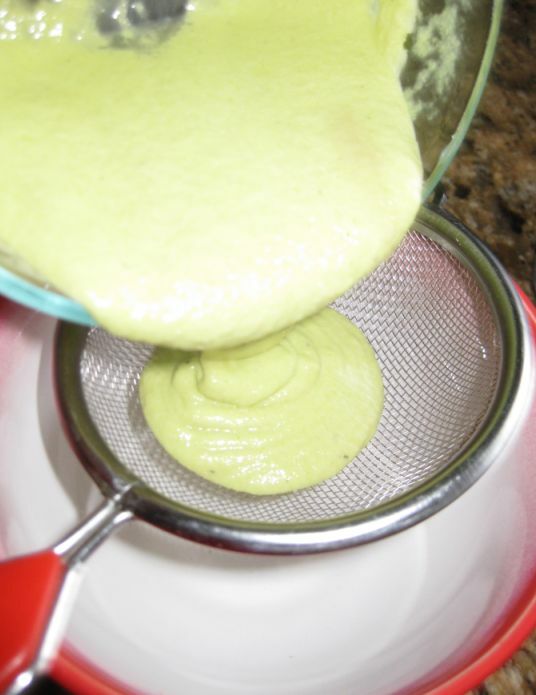 Whit the lid securely on the blender and the machine running add the olive oil in a slow stream. 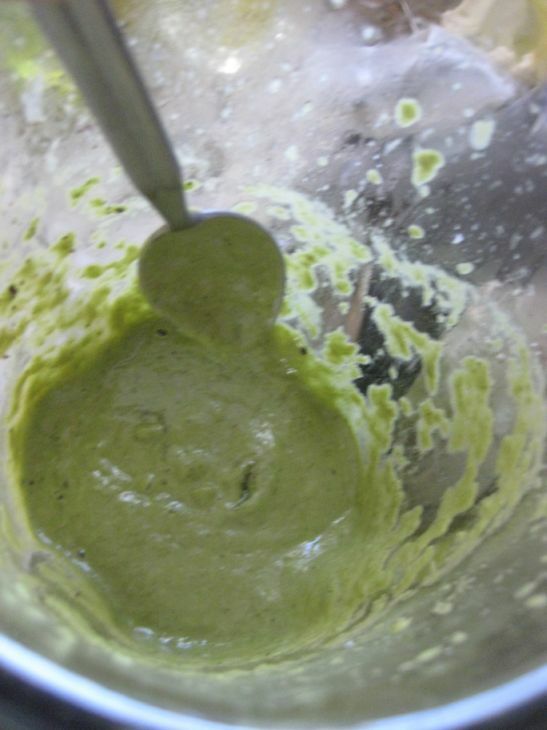 Blend for 1 minute until the mixture becomes a puree. Strain through a fine mesh sieve into a bowl. Taste for seasoning. If you vinaigrette is too thick add a bit more olive oil. Set aside until ready to serve. 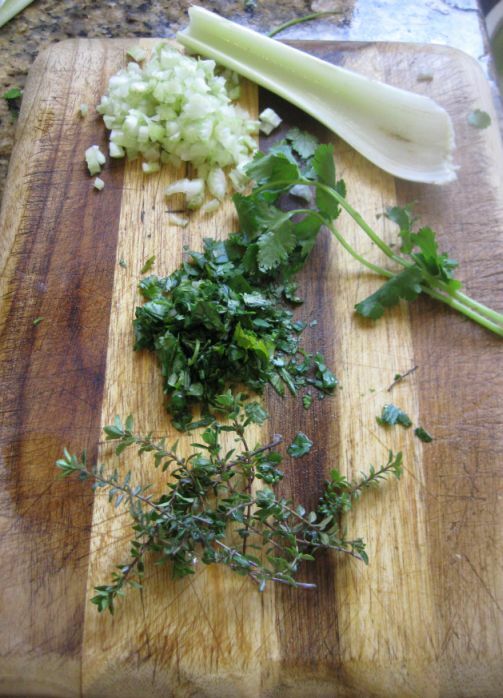 Cut the celery, parsley, and thyme. 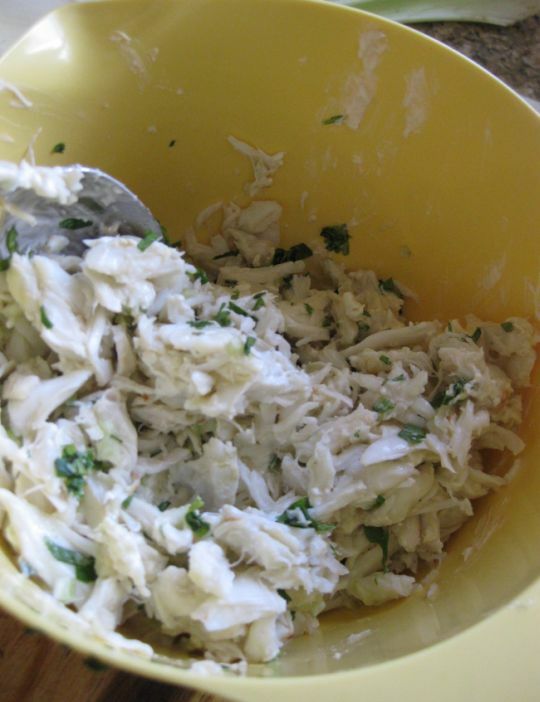 Put the fresh herb into a bowl and add the crab meat. 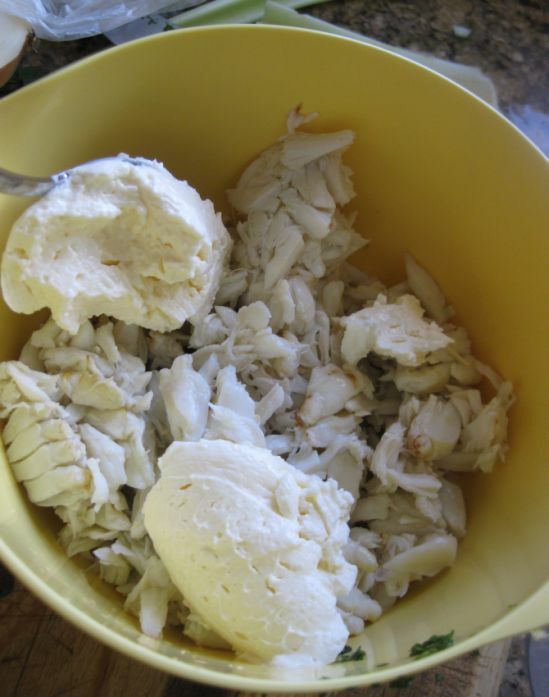 Fold the mixture until just combined and the crab is not broken or mashed. 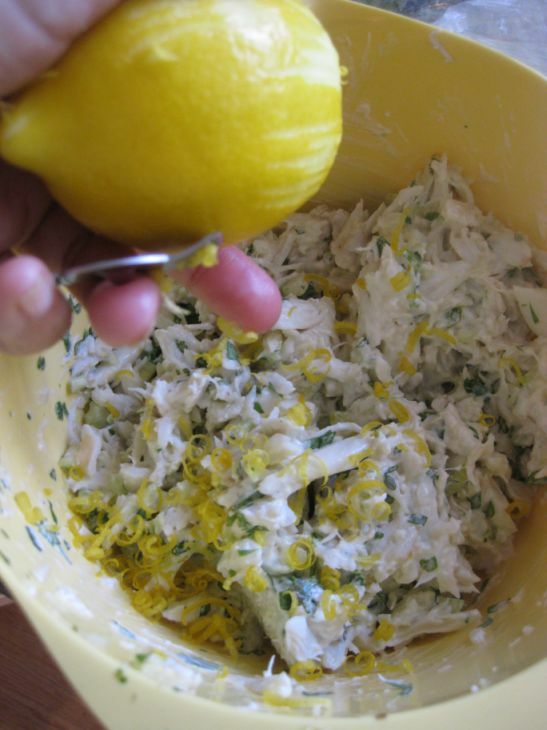 Refrigerate the crab meat until ready to serve. 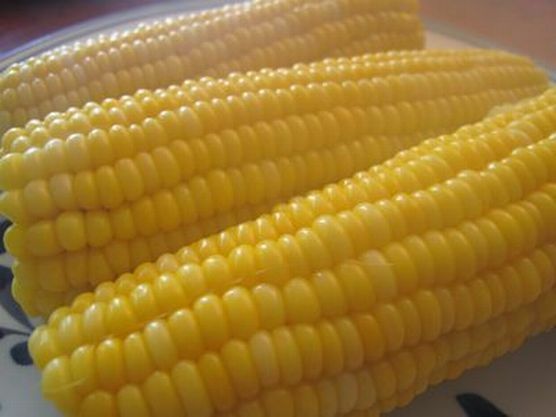 Boil your corn the traditional way or wrapped your corn and put them in the microwave for about 2 minutes. 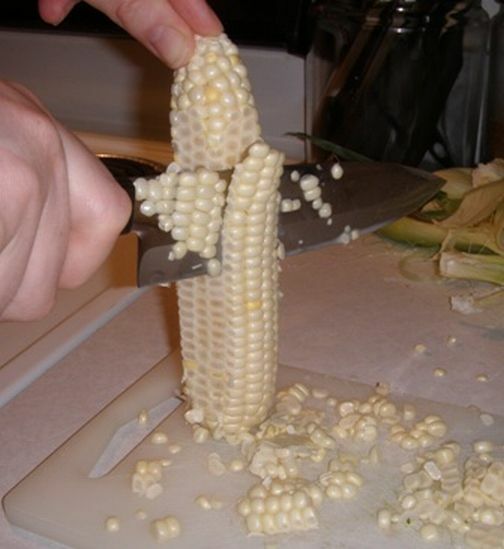 Cut the corn right off the cobs and put aside. 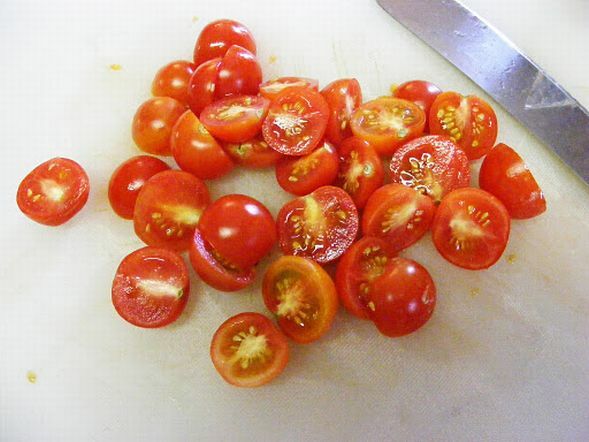 Cut the cherries tomatoes in half and set aside until ready to serve. 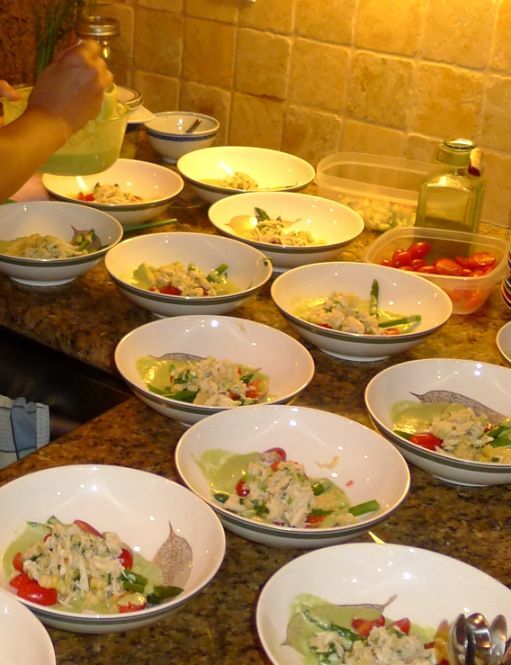 When ready to serve, get a bowl or plate. 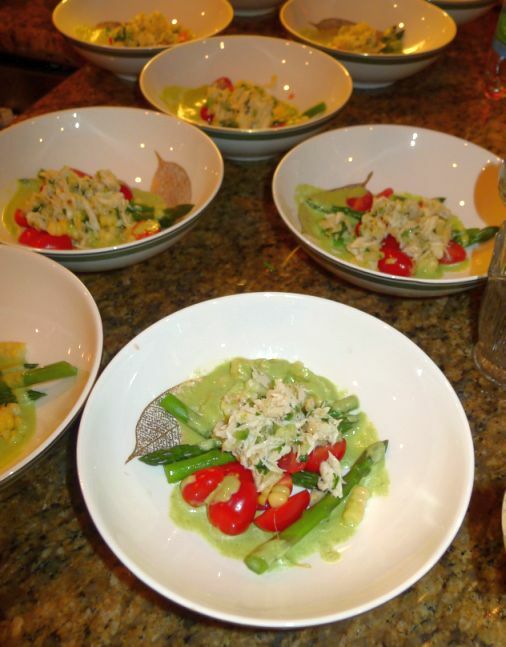 Place on each bowl 2 or 3 spears of asparagus, a few spoons of corn, add some tomatoes and scoop a generous portion of crab on top of the salad. 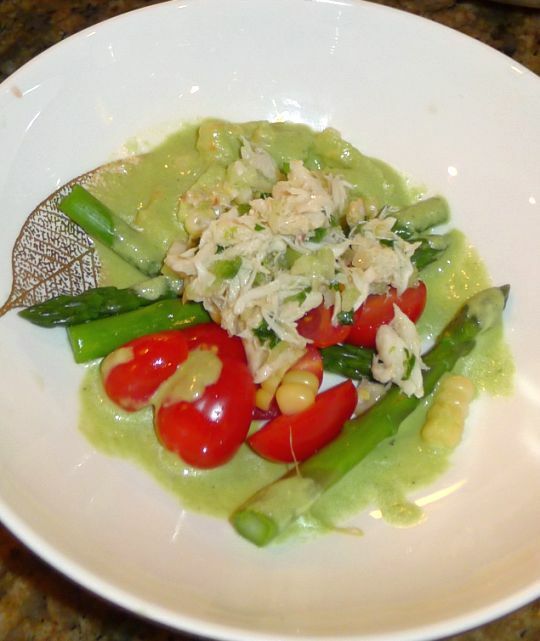 Pour the asparagus vinaigrette around the plate and it is ready to be serve.